A payment processor is a company that merchant uses to handle credit card transaction from the bank account. Online payment processing sites are those which process payment on online and handled by a payment processors. Those payment processing gateway sites allows merchants to securely give credit card information between the customer and merchants. They allow their users to use their services by using any of the several possible options if they have no credit card. Those sites allow user to send, receive and online payment task more flexible, easier and faster. Although, while using those services, you have to choose more reliable, cheaper, secure and which best fits to you among other. It is the world’s largest and widely used online payments processing site for making security on online payment. Almost all of the online purchasing sites provide an option to pay through PayPal. Uses of PayPal make your debit or credit card invisible and help to make your cards more secure while purchasing. You can pay on free for online purchases and it takes 2.4% plus $0.30 USD while get paid. In personal payment it is free when you use your PayPal balance and when you use credit card it takes 3.4% plus $0.30 USD. Mass payment to more than one at a time is also possible in just a click, which makes your payment task more convenient, effective and flexible. 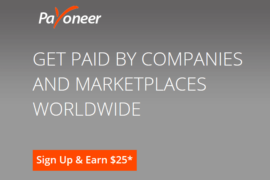 Payoneer is an industry-leading global payments company for easiest, cheapest and fastest way of getting paid for independent workers and affiliates in more than 200 countries worldwide. It provides a simple, secure and compliant way of payment for small to large business with using prepaid cards, deposits to local banks worldwide and global wire transfers. With using the prepared MasterCard provided by Payoneer, you can receive the payments from US payment service or from the debit or credit cards and can withdraw money anywhere in the world where MasterCard is accepted. It is the system for online business activities owned by the Russian company Web Money Transfer Ltd. for the purpose of online payment processing services. It is mainly focused on Russia and now used on worldwide. It can be sued even with no bank account or credit to open and operate web money account. The services provided by WebMoney are WebMoney banking, mass payment, merchant services, Escrow services and other online payment services. You can add or withdraw funds to or from your web money account through wire transfer, WM cards, money transfer system etc. It’s system supports several types of purses like Z-purse, WMZ(In USD), E-purse WME(In Euros), R-purse WMR(In Russian Rubles) etc. For each transaction, you will be charged a 0.8% fee with maximum 50 WMZ. Skrill is a company located in England which process payments online with e-wallet service to the world. It provides online payment processing services both for all individuals and all business to pay and get paid globally. Skrill provides to their users to create their account on free. The fees taken by skrill depends on whether you are using your skrill account for personal or commercial purposes. It takes 1% fee up to €10 or equivalent and doesn’t apply fees for individual customers. The fee may vary for the business account according to the type and nature of your business. It does not takes any fee for uploading funds using bank wire and takes €2.95 for withdrawing funds from skrill’s account. For more information about skrill’s fee structure visit fee strucure. It is also the largest and globally accepted online payments processing site for individuals, business corporates around the world. Payza e-wallet provides convenient and flexible loading and withdrawing options such as local bank transfer, global wire transfer, checks, debit or credit cards and many more. Payza have different fee structure for different account types such as starter, personal and business for loading and withdrawing money and foreign exchange. It’s starter account doesn’t pay receiving fees up to $400 per month or total $2000 USD. It also have the different fee schedule for each country or country region. For more detail fee structure visit Payza transaction fees. Payza offers USD prepaid card in the united states to load US funds from e-wallet. It also provides attractive and easy to use payment buttons for one time payment, recurring payments and donations for non-profit organizations. Dwolla is an online payment network which allows any person or business to send, request and accept money. Dwolla provides easy way to pay bills, send to friends etc. For individuals allows making transactions with a minimal fee to increase their profits for business and provides simple payment buttons to get paid for developers and also for non-profit organizations. Dwolla’s service is free for setting up an account, sending, receiving for $10 or less and requesting money. Attaching an invoice transferring money to or from your bank, setting up recurring payment are also free services can be used. It also provides mass payment service and auto-withdraw service. It just only takes 25 cents to receive more than 10$. It has top security options like sending PIN code for any changes in account to make your account more secure. Perfectmoney is a leading online payment processing service allowing the users to make instant payments and to make money transfers throughout the internet. It can be used to transfer money between the members receive payment in various business projects in the internet, make regular payment in internet and to make regular payment in internet and to make payment of goods and services in the internet. Perfectmoney does not charge any fee while depositing money on your perfectmoney account. 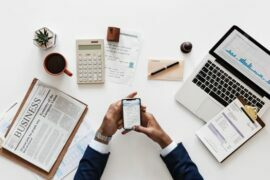 The internal transfer fee while different for three different accounts premium, verified and unverified account 0.5% to 1.99% and for wire transfer, it takes 5.5% along with bank fee. You can also get some interest, 4% per year from perfectmoney and also have the SMS notification service and takes $0.1 for each SMS. 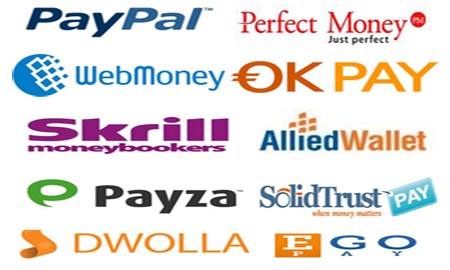 Okpay is tthe another best rapidly growing company for e-currency and online payment processing work. It provides high power of privacy, security, international transactions, buyer and seller protection through it’s escrow services with low fees. It is more suitable for small to medium sized business to process transactions easily. Okpay has lowest fee structure as far as possible you can create personal as well corporate account registration and merchant activation on free. It doesn’t takes any fees to deposit through wire transfer, and takes 1% or minimum $15 or equivalent for withdrawing through wire transfer. It also takes $30 for each for banking clarification and SWIFT conformation. It also provides e-money exchange service to change from one e-currency to another and cash money transfer service to receive money internationally without the need of opening bank account. You can also get Okpay plastic or virtual card to withdraw or pay on the internet. Allied wallet is an internet payment service provider, where any personal or business can send or receive e-currencies through online. It provides variety of services such as credit card processing, multi-currency merchant services, digital wallet services and PCI level 1 payment gateway. You can create your e-wallet or merchant account on free of charge sending and receiving funds and making purchases are also free of charges. It only charge when you move money from e-wallet into your personal bank account. It takes $30 for domestic transfer and $45 for international transfer. Solidtrustpay is also another e-money processing service along with e-wallet service. It provides merchant credit card processing service. 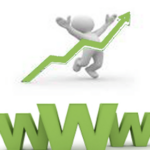 It provides most options at the best prices for whether you are selling or shopping. You can also transfer to your family and friends worldwide in multiple currencies. You can open your solidtrustpay account on free and sending money to pay for members or merchants. The receiving fee for personal, business, corporate and micro payment account are 1.5% plus $0.50, 5% plus $0.20, 2.5% plus $0.30, 3.5% plus 0.50 and 5% plus $0.05 respectively. It takes $15 to $50 for withdraw and $10 to $20 for deposit funds into solidtrustpay account. Egopay is an online payment service which offers a simple and flexible way to purchase online goods, pay for services, subscriptions and many more. It provides instant payment and multiple wallet service also allows you to transfer funds to and from your payza account and other more options such as bank wire, credit card, western union money transfer, check etc. It takes receiving fee 1.5% plus $0.25 for personal account and 1.5% plus $o.25$ for business account and 1.5% plus $0.25 for exchanger account.